Slice is hands down my favorite quick pizza place in New Orleans. Both locations are consistent, but I’m partial to the Uptown Magazine Street location since it’s a few blocks from home. Plus, you can cross the street for Pinkberry after you’re done with pizza. My go-to order starts with a salad. I vary up my salad selection between the Caesar, the Mesclun and the Spinach. 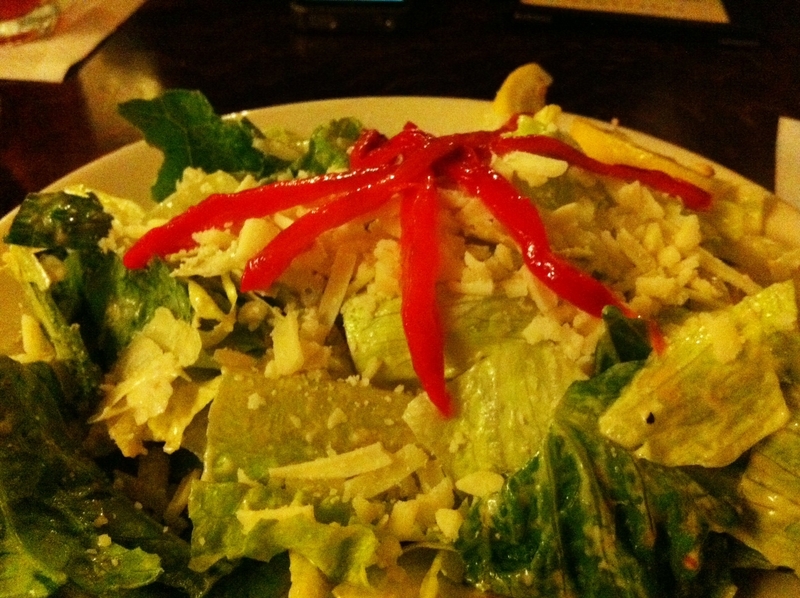 The Caesar salad is a solid choice as far as Caesar salads go. The Spinach salad is also good, but my favorite is the Mesclun. The Mesclun salad is mixed greens, chevre goat cheese, walnuts and fresh local berries. All of the elements combined have a nice balance of sweet, pungent, creamy, crunchy and leafy. Sadly, I’ve become a little set in my ways when it comes to ordering Slice’s pizza. I usually go for two slices and one is always the Bacon, Basil and Garlic. I love bacon. I love basil. I love garlic. So this slice speaks to my heart and taste buds. The fact that it’s a piece of white pie is even better. 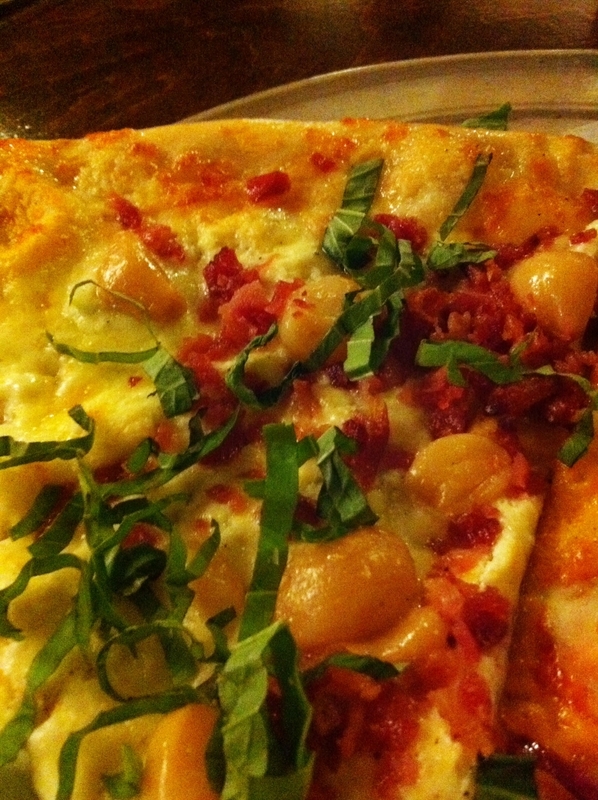 Another one of my favorites is the Prosciutto, Gorgonzola and Arugula. It’s kind of like a delicious salad on a slice of pizza. The prosciutto is always fresh and the gorgonzola has a nice bite to it. Slice also has some pretty good special slices. 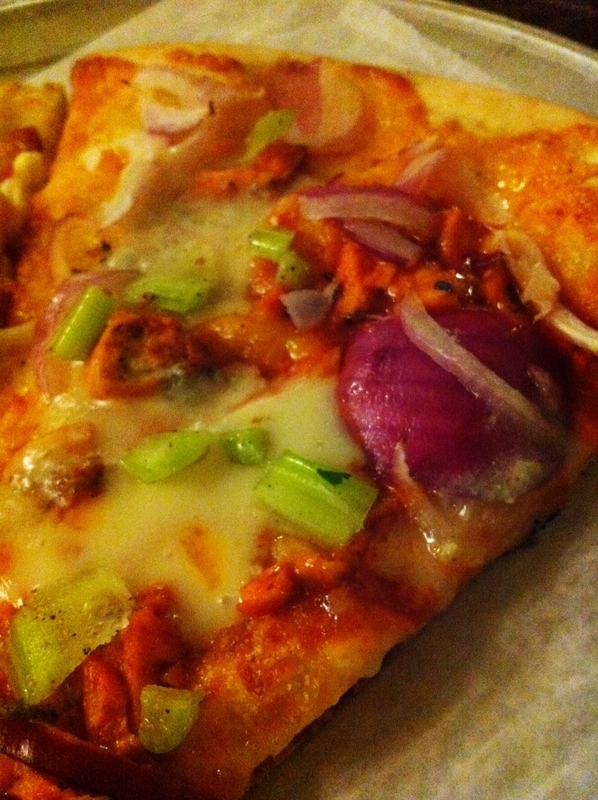 On my last visit, it was Buffalo Chicken which consisted of hot sauce, gorgonzola, buffalo chicken, red onion and celery. This is one of my favorite specials that Slice does. Another great special is the Alligator Sausage special. I haven’t seen it in a while, but it’s definitely worth ordering if you happen to catch it. I also often make my own slices. So far, my favorite combo has been pineapple, prosciutto and jalapeño. It’s sweet heat with the meatiness of the prosciutto. Slice has tons of toppings to choose from so the combos are nearly infinite. Slice also has great price points. You can easily get a slice, a small salad and a drink for about $10. That’s a great deal. I highly recommend Slice for a quick bite and high-quality pizza for a low price.